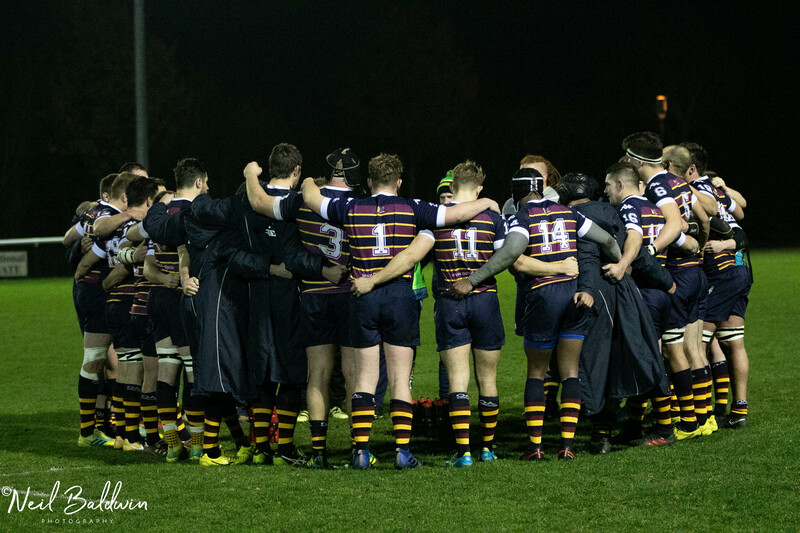 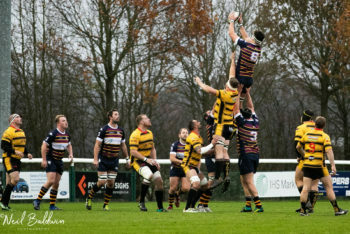 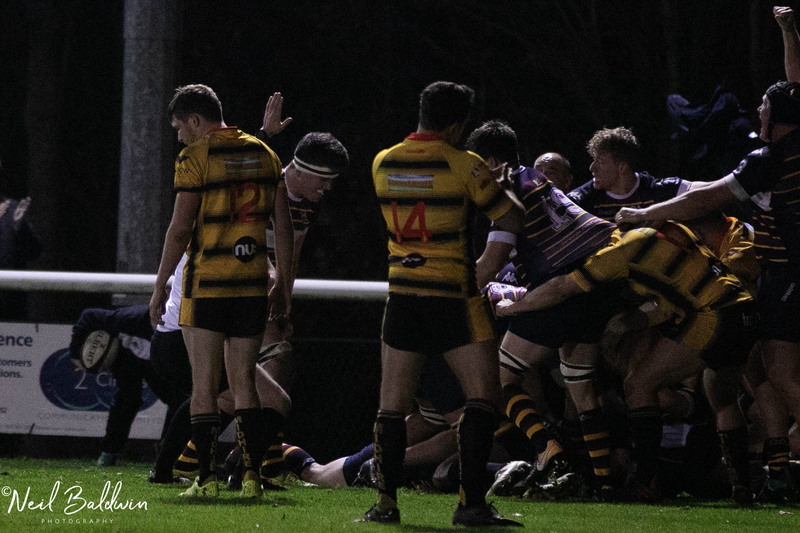 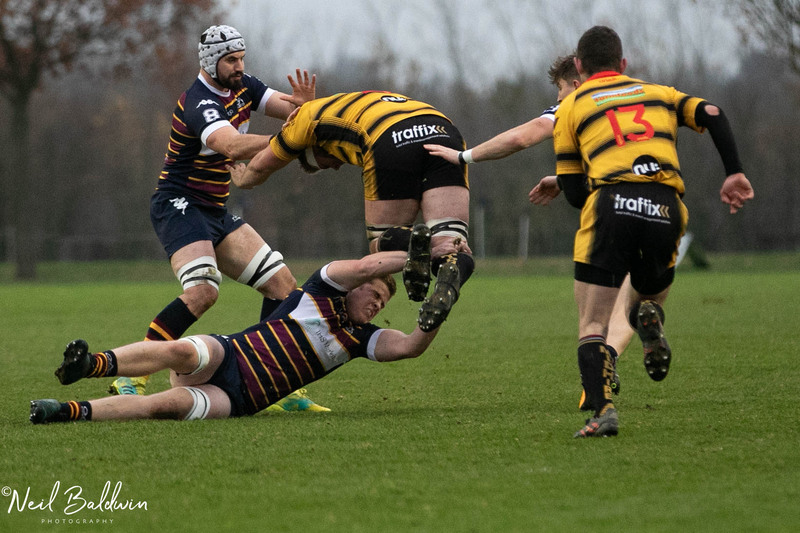 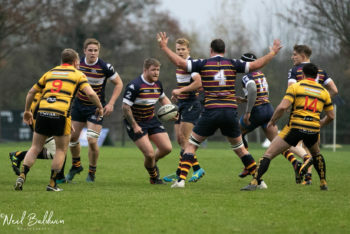 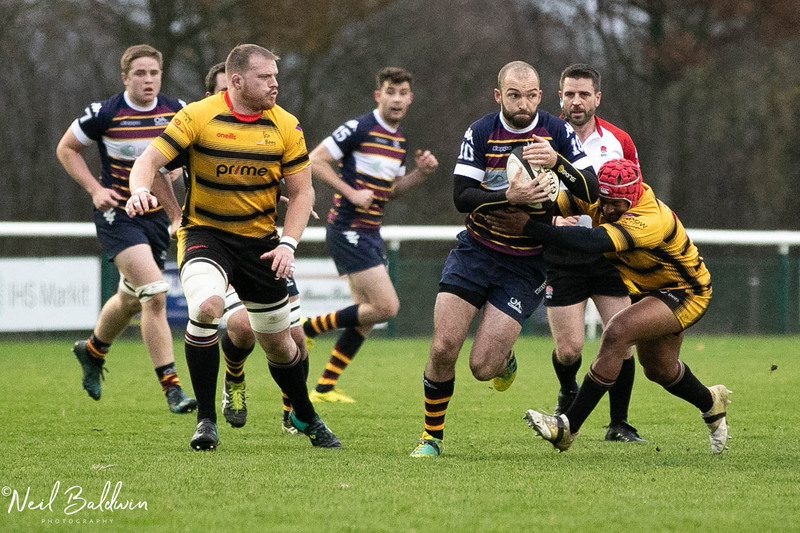 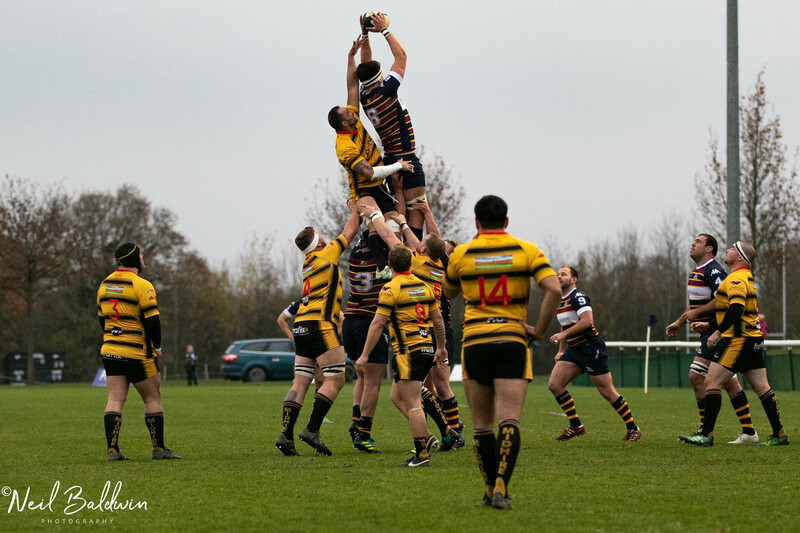 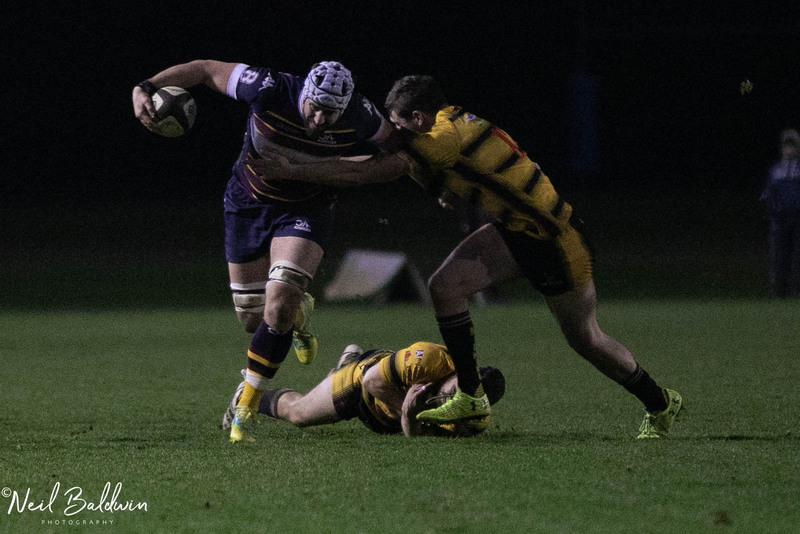 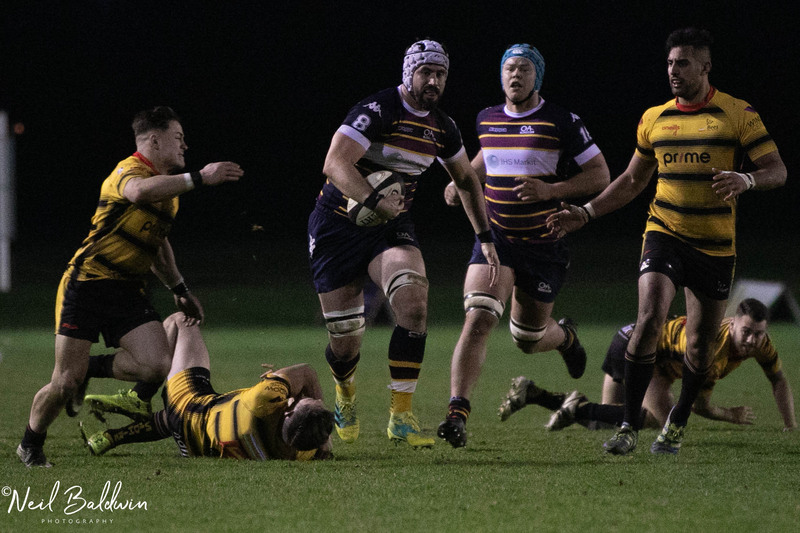 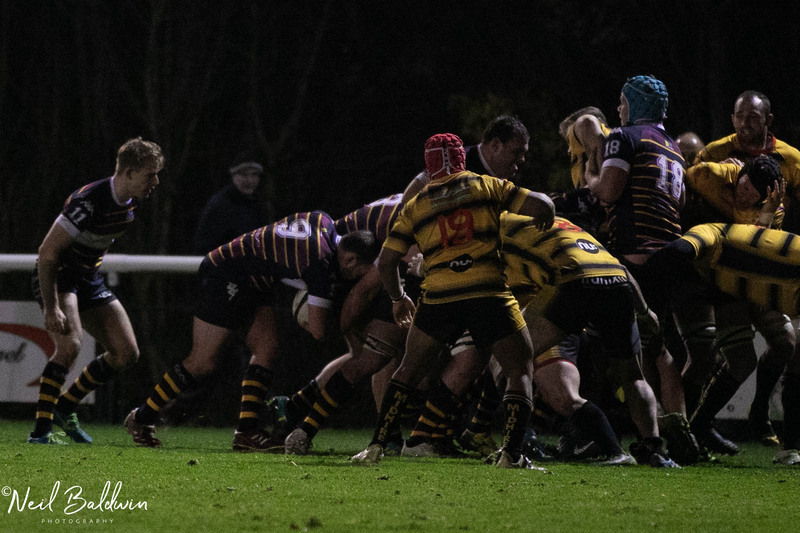 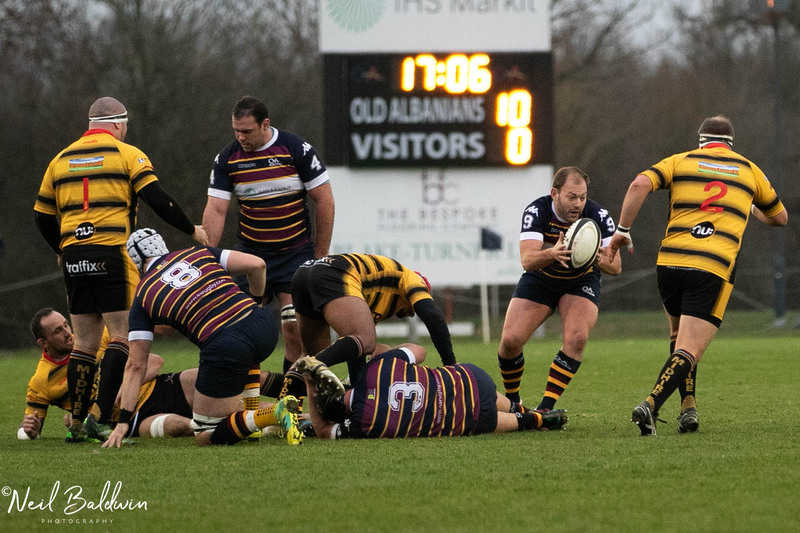 Birmingham, buoyed by their ferocious performance against high flying Henley last week fielded probably their strongest side against an OA outfit which now hasn’t lost in a month. 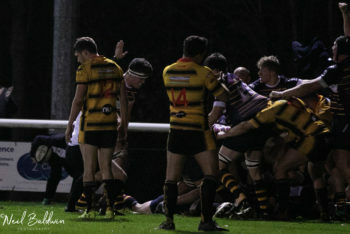 Truth to tell this match was a lot closer than it might have been and the visitors will count themselves unlucky to have missed a number of scoring opportunities, especially in the second half. Albanians started in stalwart fashion and drove into Birmingham territory. 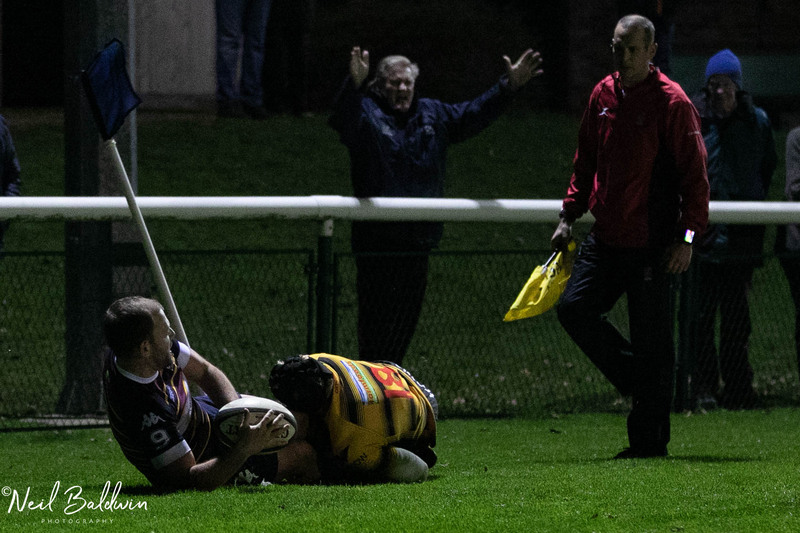 They remained there until Dan Watt’s penalty sailed over with seven minutes gone. 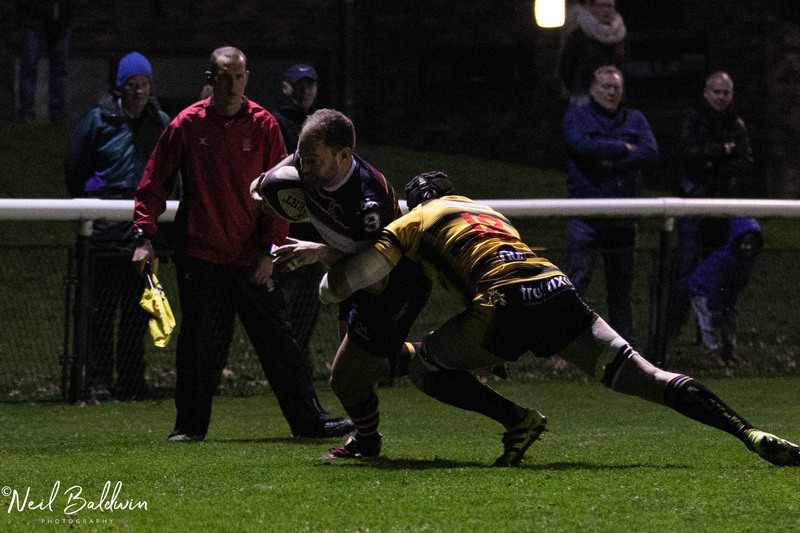 The intensity increased and Chris West powered over six minutes later for Watt to improve. 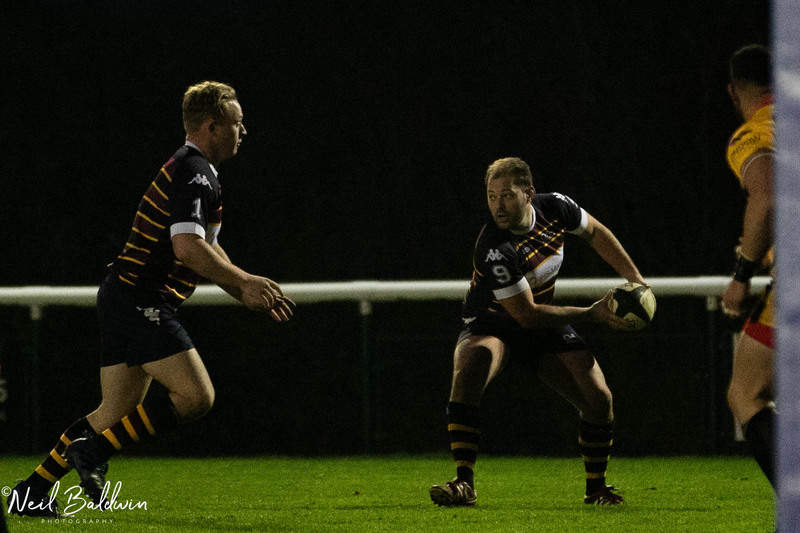 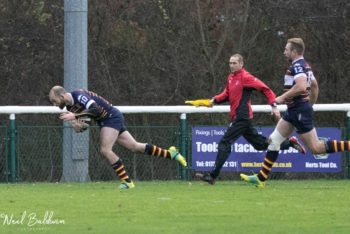 Fly half Tom Bednall brought roars from the appreciative crowd with his scintillating footwork just into the second quarter. Watt converted but Nick Bingham put the visitors on the record on the half hour with his side’s first meaningful attack. Jack Jolly converted to leave the score at the interval 17-7. 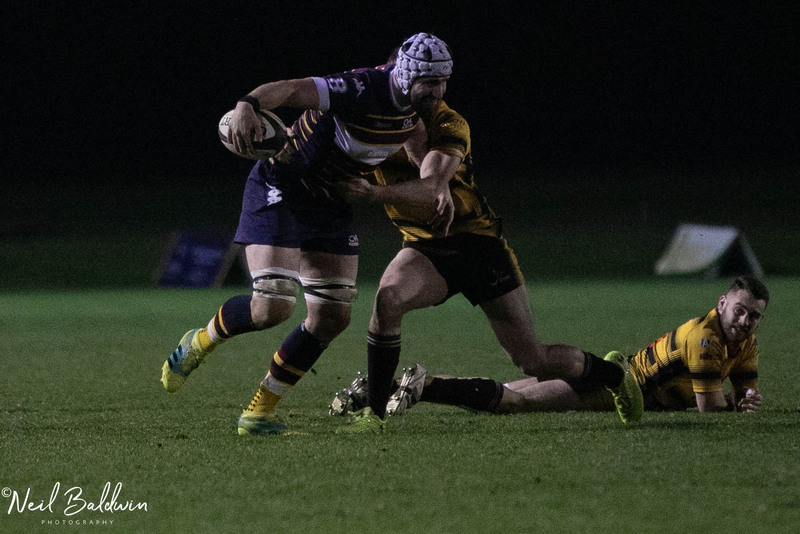 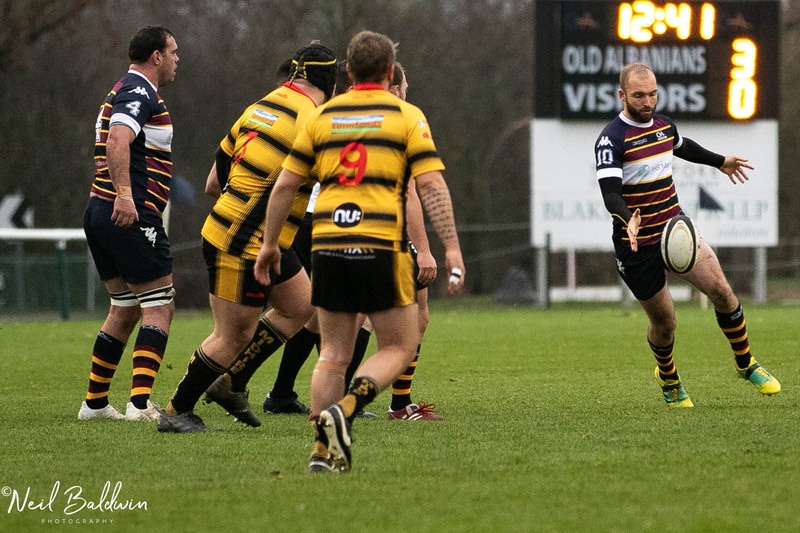 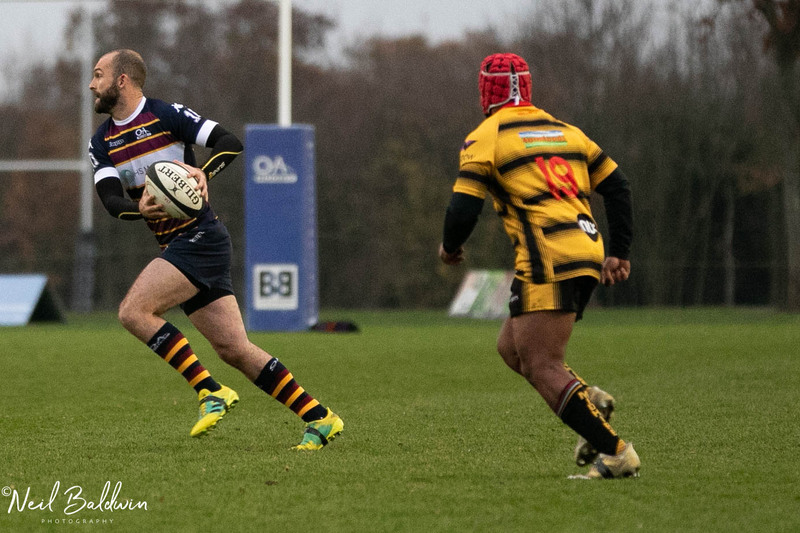 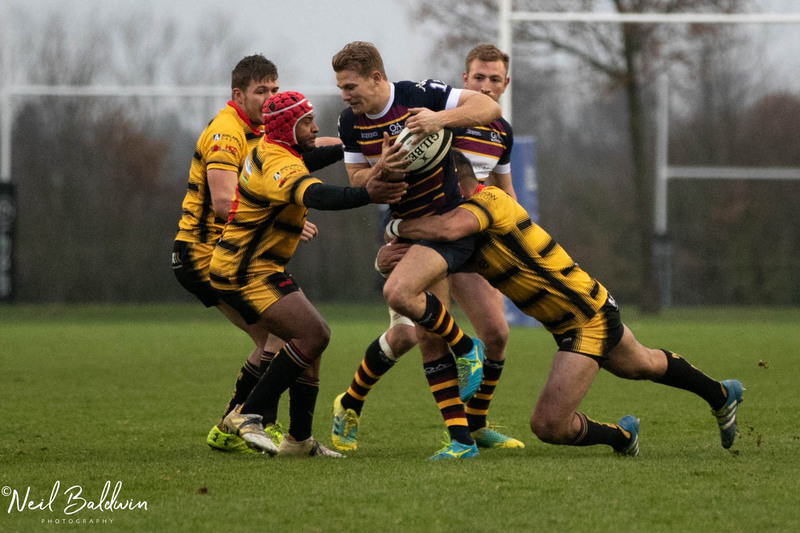 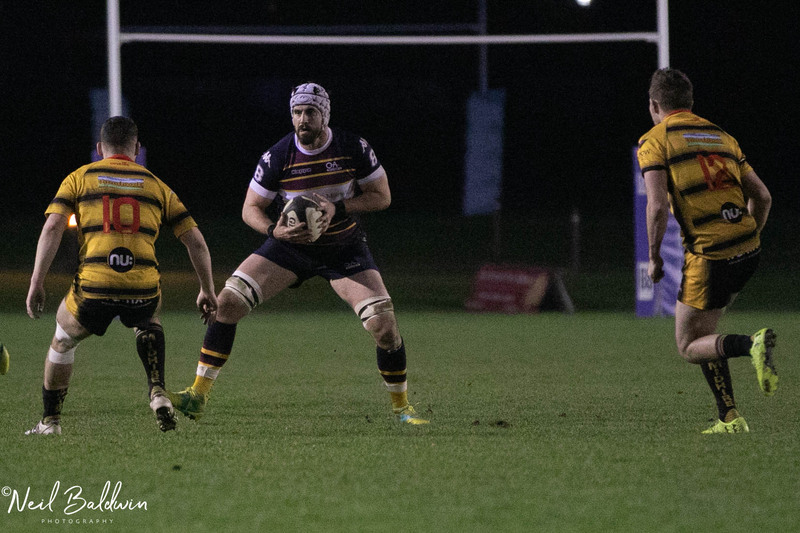 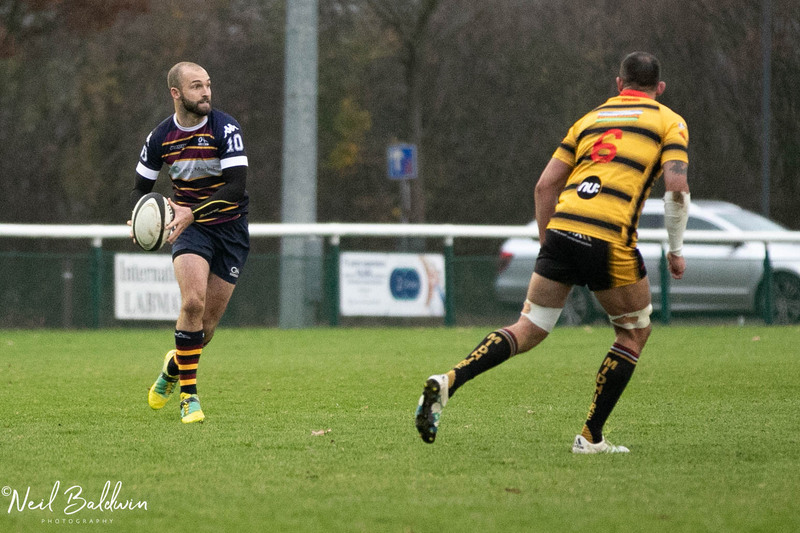 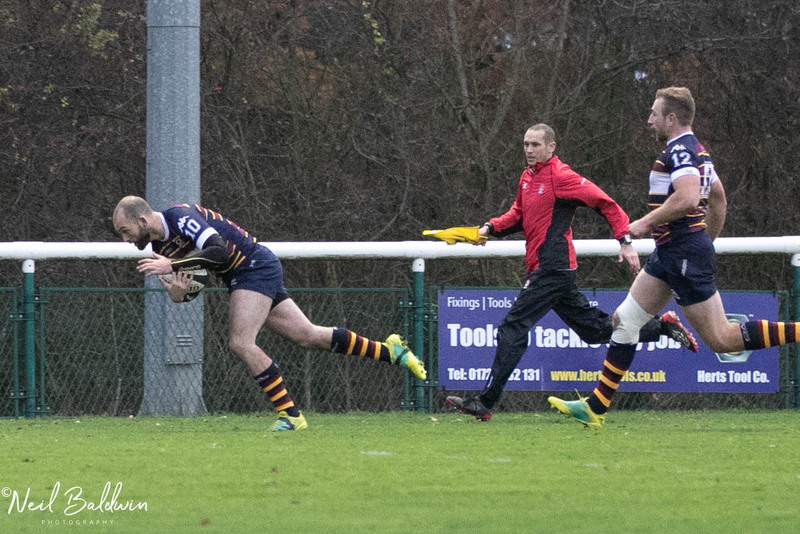 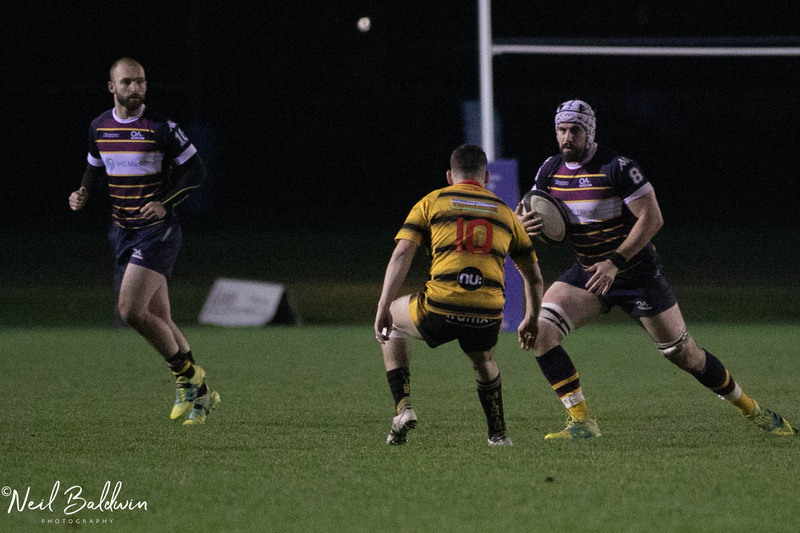 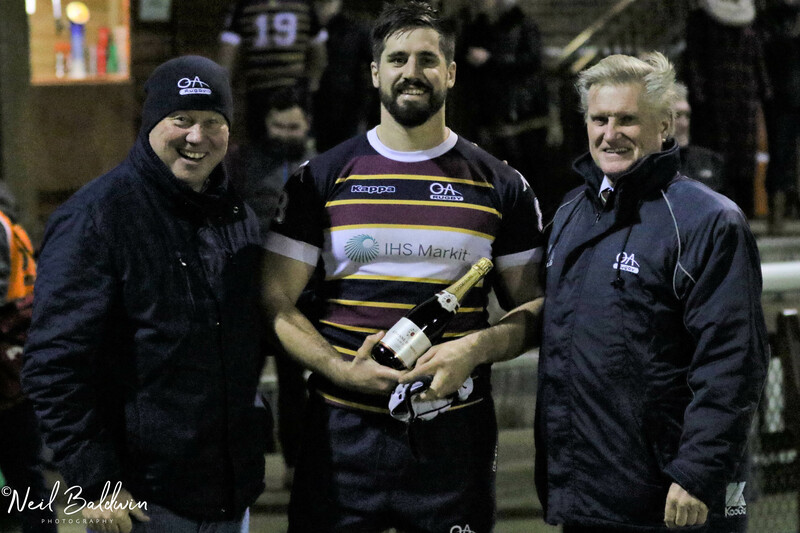 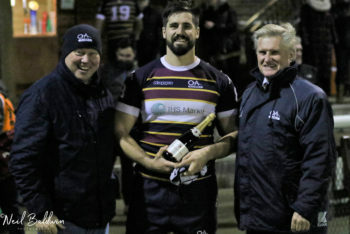 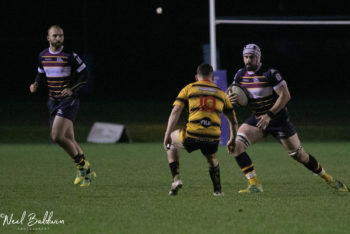 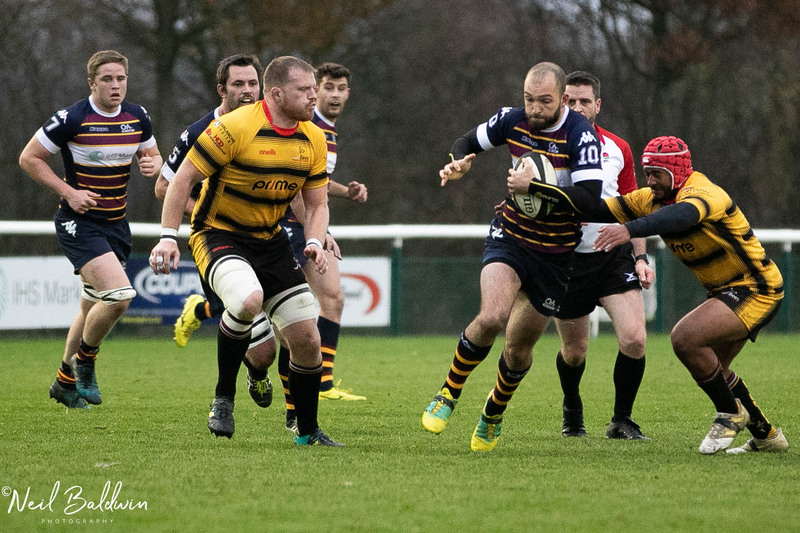 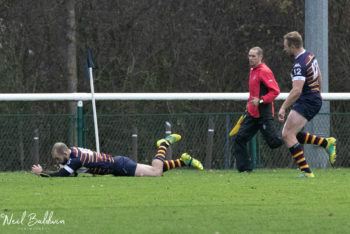 In the 12th minute of the second half OAs fell for a short lineout throw for the fourth time this season and Luke Smith scored Birmingham’s second try. 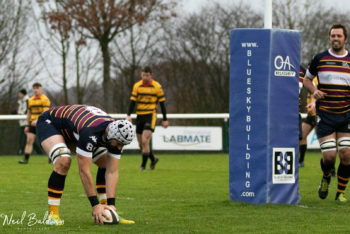 Watt’s penalty saw OAs into the final quarter but Mike Hagan bounced his successful kick off the crossbar with ten minutes to play. So to the endgame! 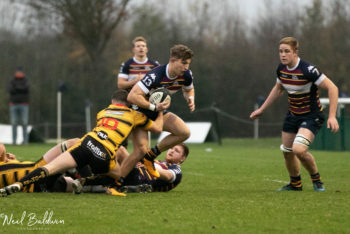 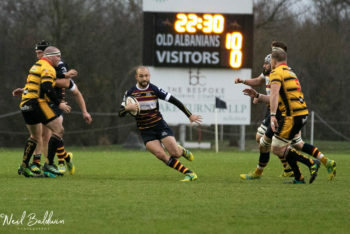 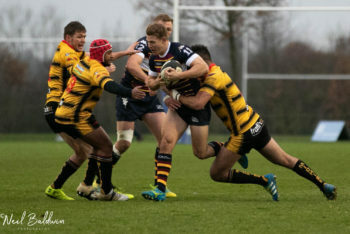 Morgan Thompson scored from a tight scrum before Charlie Hughes, on the end of a massive catch and drive, gave the hosts their bonus point and Watt’s conversion completed his twelve point personal tally. Canterbury and Henley are still to be faced in the run up to Christmas but Albanians are playing lately with a growing confidence. 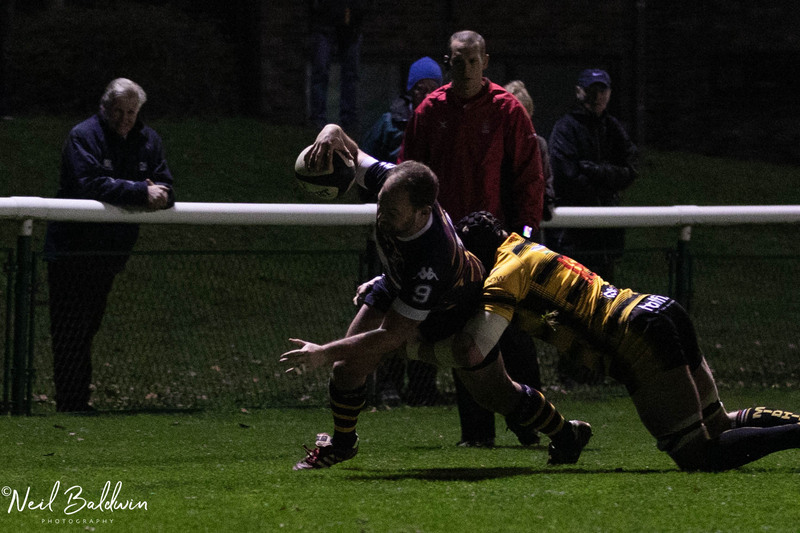 Compared to earlier in this campaign tight play has regained a deal of fury and precision. Broken field operations were never a worry but defence now forms a hefty bulwark for any opponent. 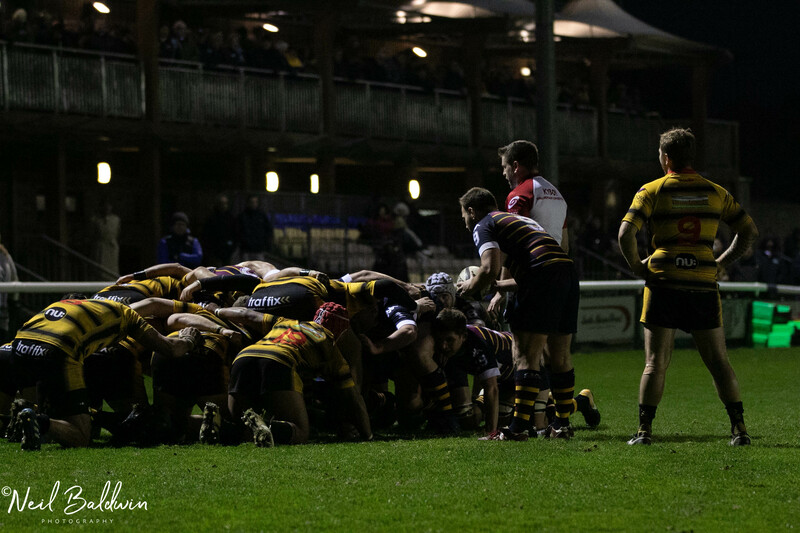 We’ll see what the men of Kent make of it next week in Chaucer’s old stomping ground!